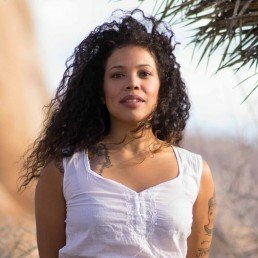 Siedeh Foxie is a Brooklyn based intuitive practicing shamanic healing through ancient traditions. Accessing a blend of energy modalities including breathwork, healing touch, sound vibration, and plant medicine, Siedeh holds space that allows connection to our inner wisdom; thereby gaining insight and clarity to empower profound shifts. Through studies of the Eastern principles of spirituality, with her roots in shamanism from South America, she believes that we all possess the unique abilities to heal ourselves, others and ultimately the world at large. She believes we are all intuitive beings equipped with the necessary tools we need to clear blockage, release trauma, balance energy, and restore harmony to fulfill our soul potential.